To understand workflow automation, you need to re-evaluate your daily tasks to see what roadblocks are holding you back from greater productivity. As restoration contractors, you wear many hats throughout the day. One minute you could be working on client insurance claims reports, and moments later you could be getting updates from your crew on the restoration process. These jobs can have you running back and forth between clients, work crews and your office. If that’s the case, you’re likely feeling redundant in your workflow. 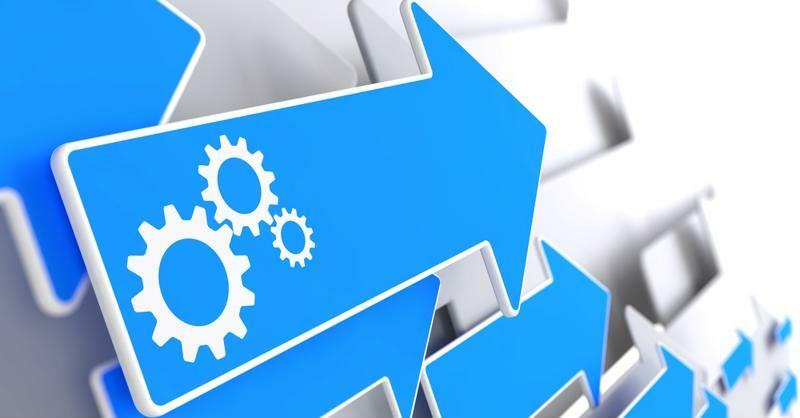 That’s why so many businesses invest in workflow automation strategies since it’s so critical to eliminate repetitive tasks, improve efficiency, limit errors and keep within your project’s budget, XEROX reported. While restorers would like to better these aspects, there are ways to improve your workflow automation process so you can focus more on what means the most to your company. One way that many businesses are able to improve their workflow automation is through technology. With mobile devices and industry-specific platforms for the restoration industry, project managers can stay on top of all things within the company without ever needing to leave the job site. Adopting a workflow automation platform like DASH will help you keep clients up to date on projects, organize insurance claims files and increase the documentation process of projects in their entirety. According to the blog Create Stop Be Creative, finding the tool that helps you increase your workflow automation is the tricky part. But DASH’s robust and scalable platform provides a better gateway for restoration businesses to reduce errors and drive efficiency. Accountability is another thing many businesses want to greatly improve. Transparency is absolutely critical in the restoration industry since you need to ensure clients are constantly updated, insurance claims papers are filled out properly and that work is done as quickly as possible. By increasing all your lines of communication, you become more accountable for your actions and business processes, Kissflow reported. With back and forth traveling from jobs to clients, it’s easy to misplace notes, forms, documents or photos. However, adopting a workflow automation system like DASH will eliminate any chance for those errors. DASH gives you an all-in-one tool to log, document, store and share important information. With a cloud-based platform that can work from anywhere, you will be on top of every single thing that comes your way in a standard work day. Thus, you will instill accountability in your business, which could pay off in the long run with better customer reviews and better managed project costs. Creating a hierarchy is necessary so everyone knows their role and exact job duties. Establishing a clear, concise hierarchy in their business can be tough for some restoration contractors. While each restorer is responsible for numerous different jobs, there still needs to be some enforcement so they know exactly what to do. This means that while you’re working on several tasks, it’s important that those working in your crew know exactly what they need to get done each day. Almost any construction project manager will tell you that the biggest factor to downtime is simply sitting around waiting to be told what to do next. The same applies for restorers, as they need to make sure their crews and clients are doing their own part to speed up the process. If you don’t establish some sort of hierarchy, you’re going to be left with even more work, which will cause downtime, increase error rates and cost you money. Instead, with an automated workflow management system as powerful as DASH, you can rest assured key internal stakeholders can easily navigate the claims lifecycle and understand what role they play. There’s no need to let downtime affect your workflow, DASH takes the guess work out of it for you. You can ensure each worker is connected within the DASH platform so lines of communication are open.